The Incredible Hulk’s Spiced Guava Crème Brûlée | I Wanna Bake! This movie is largely considered one of, if not the, worst Marvel movies made in recent years. Upon watching the movie again, I don’t know that I entirely agree with that assessment (especially considering that Fantastic Four exists), but the movie definitely has some problems. You can stream it for free on Amazon with a free 7-day trial of Cinemax so that you don’t have to feel like you wasted money on a dvd or a rental. Per the IMBD summary, “Bruce Banner, a scientist on the run from the U.S. Government, must find a cure for the monster he emerges whenever he loses his temper.” The beginning of the movie shows Banner working under the radar in a guarana soda bottling factory in Brazil. In a chance accident, Banner cuts himself and a drop of his blood drips down onto the conveyor belt on the level below. He quickly runs down and wipes up the blood, but he misses a bottle of soda with a drop of blood on it. That bottle gets shipped off to the US, purchased, and consumed by Stan Lee in his cameo. This instance of “gamma poisoning” leads the US military to Banner’s whereabouts. While watching the movie, I wrestled with a choice between two different bakeventures. The first is something I plan to unveil later in the summer, so I won’t say anything more about it than I already have. The second came from Josh’s suggestion that “it should be something you have to smash.” We probably spent more time discussing possible desserts than watching the movie, but we ended up with the idea of crème brûlée. I’ve been trying to get outside my baking comfort zone lately, and a custard with a layer of hard caramel on top that you have to smash through to eat certainly killed two birds with one stone. 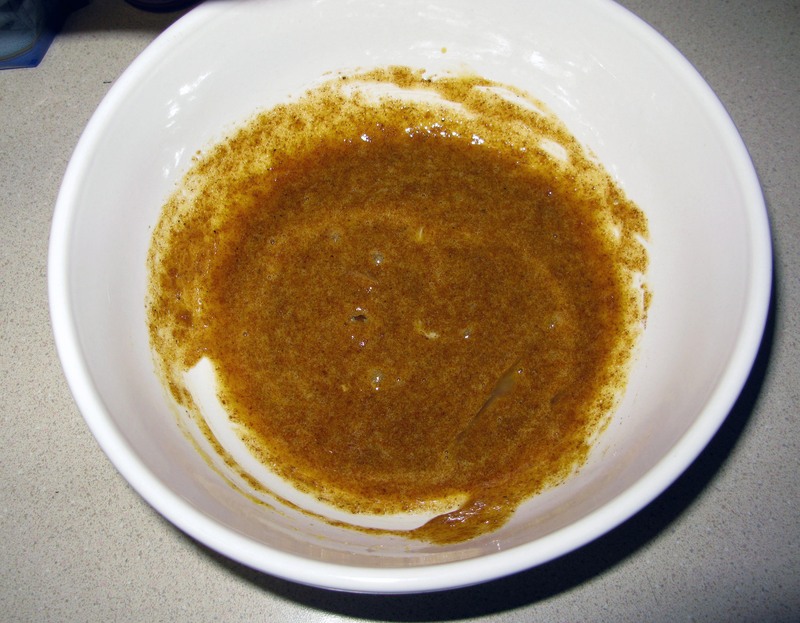 I spent awhile trying to figure out how to work guarana into the custard, but Josh was particularly against the idea of boiling down a soda to make syrup, and I wasn’t too keen on the idea of smashing up guarana supplements to add to baked goods. I had a few different ideas in the works at the time, so I went to Dollar Tree to buy pop rocks for the aforementioned cookies. During that trip, I happened to notice the carton of guava nectar that they always seem to have in stock. I was vaguely aware that guava is produced and consumed in Brazil, so I figured it was worth a shot. For those of you who haven’t tasted guava juice before (I hadn’t before this), it reminds me a bit of pear juice, but less mild. From that first taste, I decided that traditional apple pie spices would complement the flavor nicely, so I chose to add cinnamon, cardamom, ginger, and a little black pepper for kick. I also decided to add a drop of hot sauce for thematic reasons (to represent the drop of blood in Stan Lee’s soda). 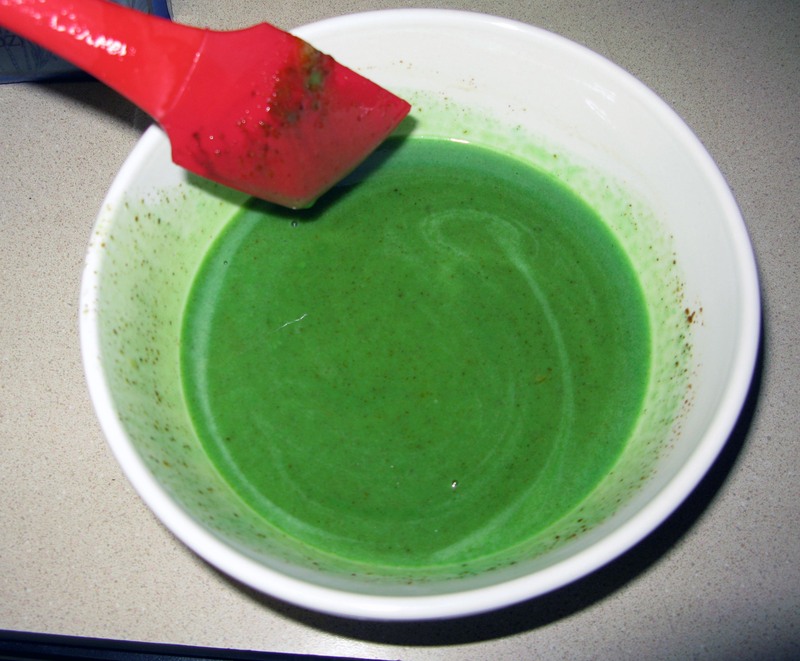 The hot sauce turned out to actually add a pleasant heat to the custard, so I would recommend leaving it in even if you just wanted guava custard without the hulk theme. Most hot sauces tend to have garlic and other spices in them, so try to choose one that doesn’t have much in it aside from peppers and water (this one‘s ingredient list has hot peppers, water, and vinegar on it, and it only cost me 50 cents at Big Lots). I also colored the custard green, but you can leave that out if you’re not feeling Hulk-colored crème brûlée. The recipe is based on Joy of Cooking’s vanilla crème brûlée recipe. I halved the recipe so that we didn’t have leftovers and jiggered with the ingredients, but the basic process comes directly from there. 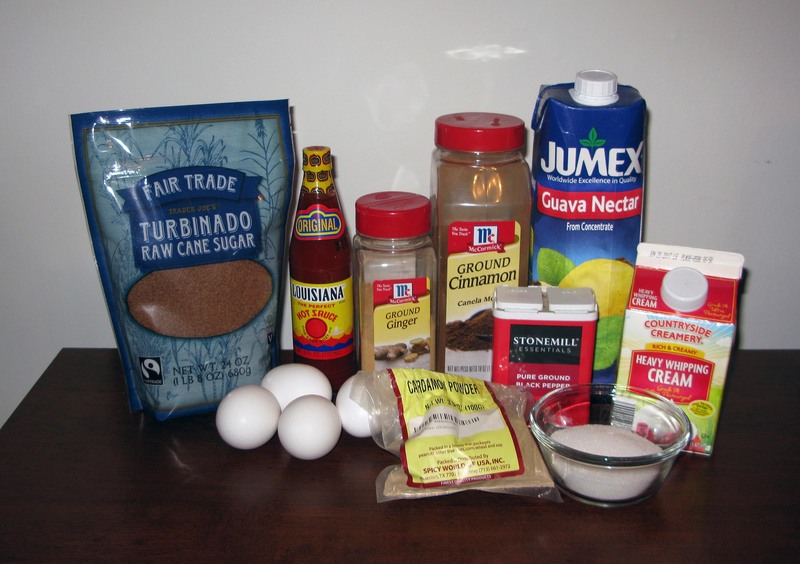 I would like to note that the first time I tried to make the caramel, I used the turbinado sugar in the picture. The original plan had actually been to do it under the broiler like they had to on the Great British Baking Show, but I couldn’t find ramekins that were broiler-safe (I ended up opting for a two-pack of these). Thankfully, Joy of Cooking has 3 different methods for covering crème brûlée with caramel, so I tried the stovetop method instead. It didn’t work quite right with the turbinado sugar, so I ended up with a thick blob of caramel on top of my first crème brûlée and a mess of hard candy in my saucepan. Thankfully, the caramel mess soaked out easily enough and I was able to redo the caramel properly with granulated sugar. That produced the desired results like a charm. I did go back over the first crème brûlée with added caramel, so the topping was suuuuuuper thick and hard to cut through. If something like that happens to you, I suggest lifting off the thick layer after it cools and doing it again. Crème brûlée requires patience and attention, so don’t let your inner Hulk out while you bake. Listen to something soothing to keep your heart rate low. Perhaps some Chopin? To start off, put the guava juice in a small saucepan and bring to a rolling boil over high heat. 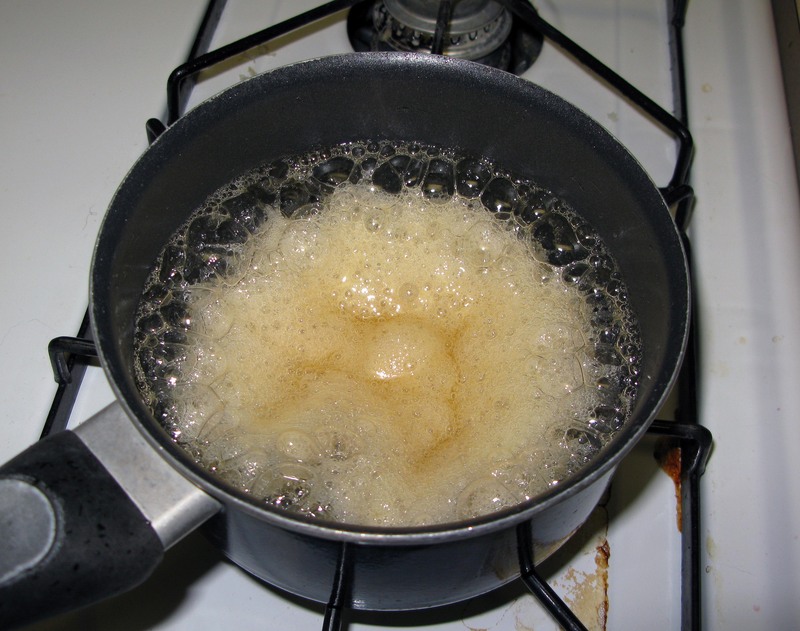 Maintain the boil at the highest temperature possible without it boiling over until it is reduced to a thick syrup. This will be hard to see while the juice is boiling, so periodically remove the pan from the heat and let it cool down enough to gauge how much liquid is left. While the guava juice is boiling, stir together the sugar, cinnamon, cardamom, ginger, and black pepper in a small bowl until uniform. In a medium bowl, stir together the egg yolks and the sugar mixture. Set aside for now. When the guava juice is reduced, whisk in the heavy cream. 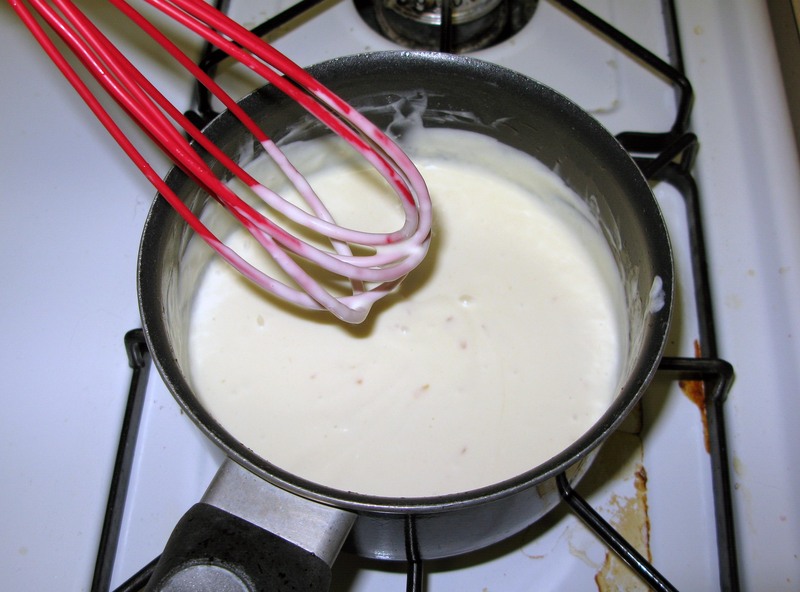 Turn the heat to medium and continue to whisk from time to time. When you start to see little bubbles forming all around the edge of the cream, remove it from the heat immediately. 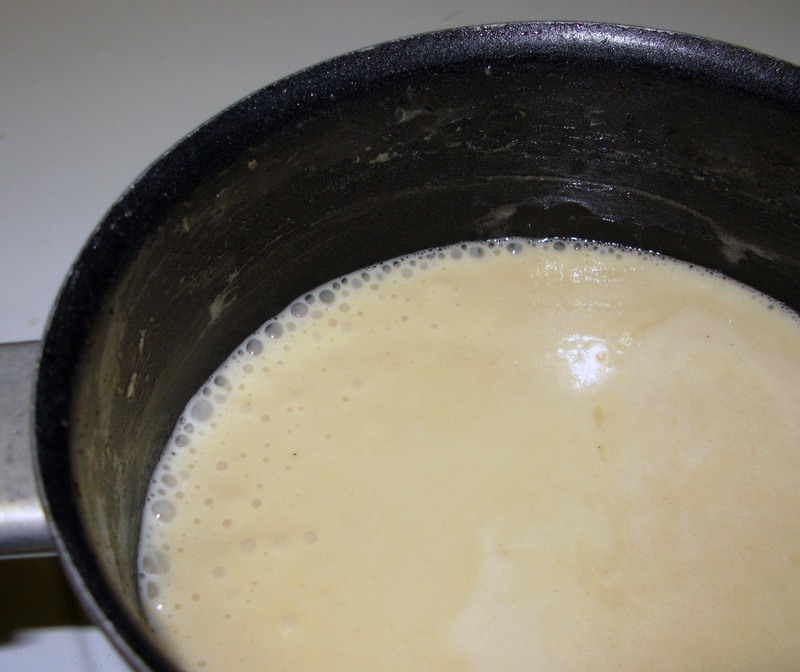 Carefully pour approximately a third of the hot cream and guava mixture into the egg mixture while stirring slowly and continuously. Continue to stir until the mixture is uniform. Repeat this process twice with the remaining liquid. 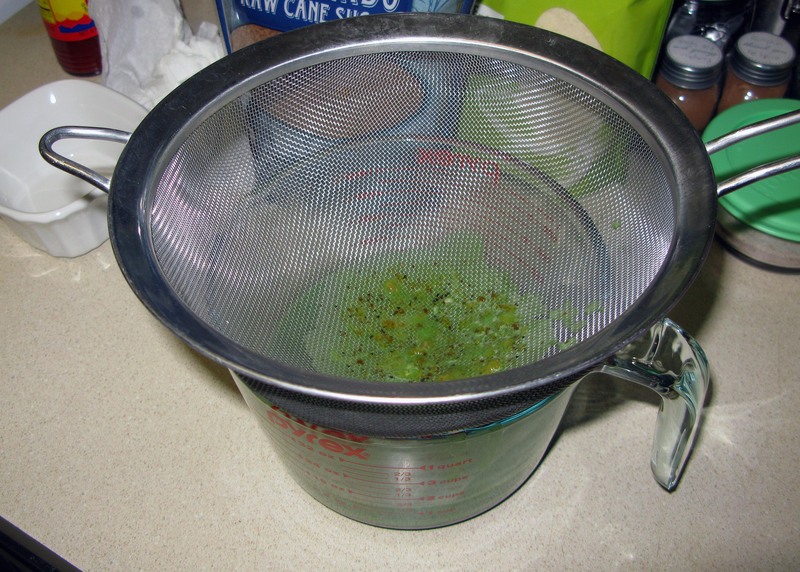 This helps to prevent the eggs from cooking and scrambling from the sudden addition of heat. 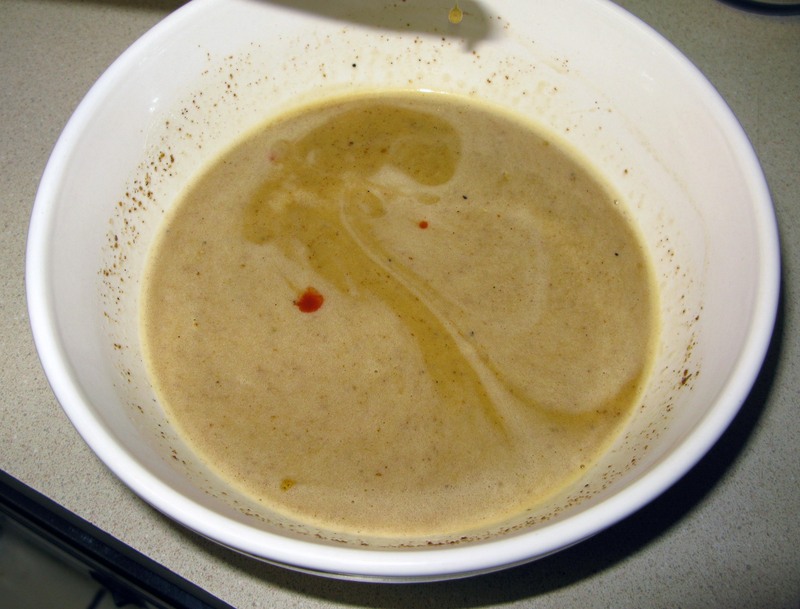 At this point, add just a drop of hot sauce to the custard mixture. 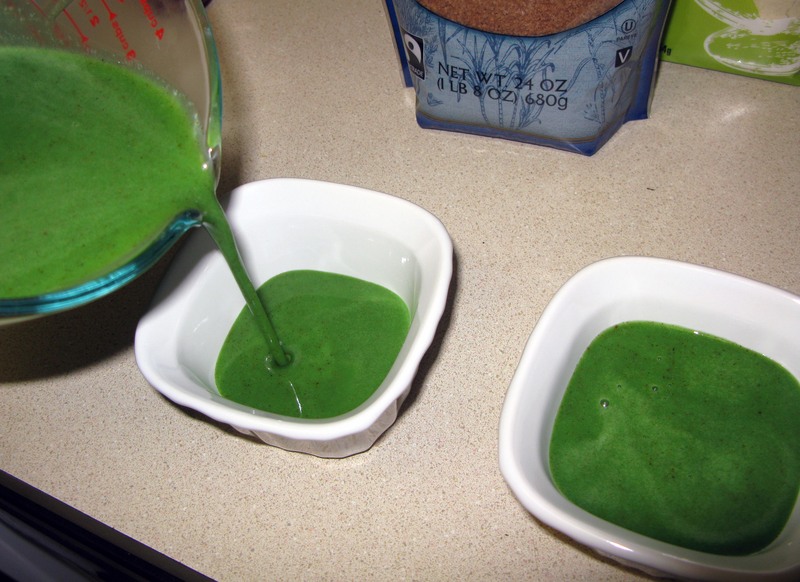 If you are sticking with the theme, add several drops of green food coloring to the mixture and stir until the color is even. Pour the custard through a fine-mesh strainer into a glass measuring cup or other bowl with a pour spout (you can use a regular bowl, but it will make the next step a bit more difficult). Divide the custard between two 6-ounce ramekins. Place the ramekins in a high-sided baking dish and add boiling water to the dish (outside the ramekins, of course) until it reaches approximately halfway up the sides of the ramekins. 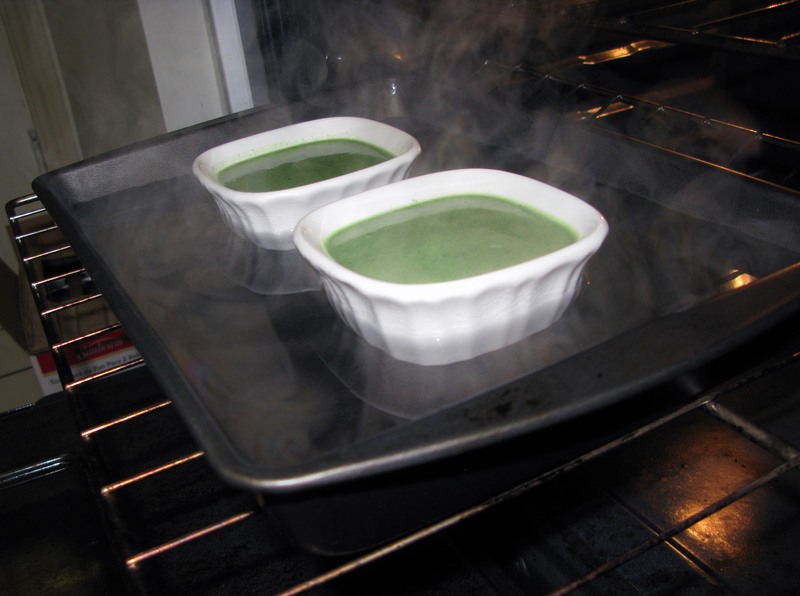 It is easiest if you first set the baking dish on your oven rack, then add the ramekins, then add the water. This way you don’t have to make the anxiety-inducing trip from the counter to the oven with a hot tray of liquids. Carefully push the oven rack in, close the door, and turn the temperature to 325°F (that’s right, we didn’t preheat the oven for this one). Bake the custards for 30-35 minutes, or until they are just set. They will still jiggle a little in the middle at this point. 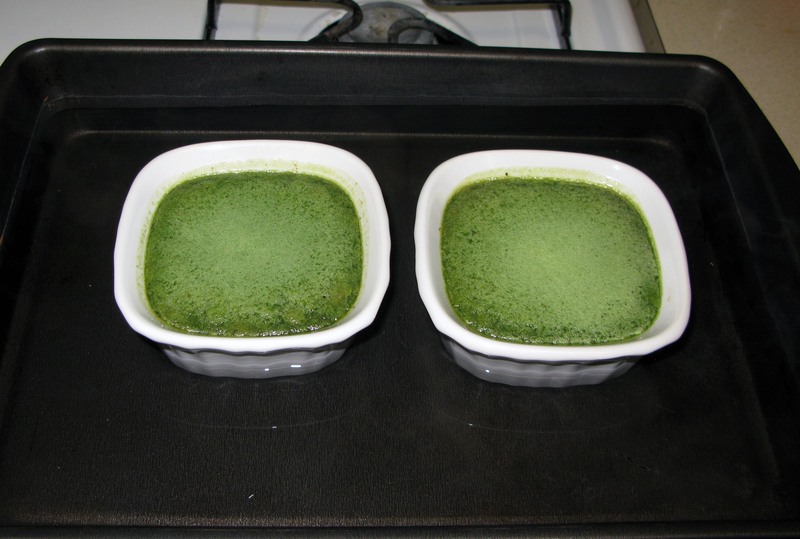 Carefully remove the ramekins from the water bath and leave them to cool to room temperature on a cooling rack. Once they are cool, cover them with plastic wrap (or Press N’ Seal) and refrigerate them for at least 8 hours. Within 4 hours of when you plan to serve your crème brûlées, you will need to prepare your caramel topping. Things will start to happen quickly, so it is best to remove the custards from the fridge before you start. Also fill a medium bowl halfway with water and add a few ice cubes at this time. 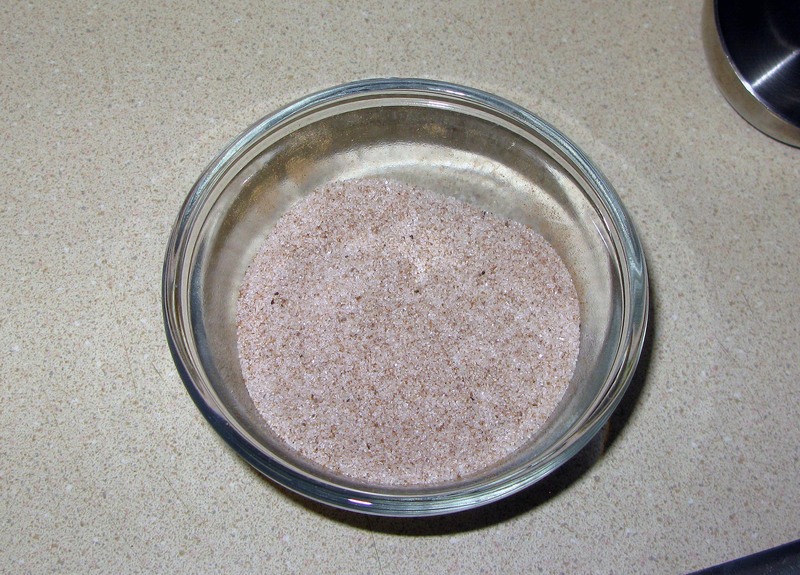 Combine the remaining granulated sugar and water in a small saucepan, but do not stir it. 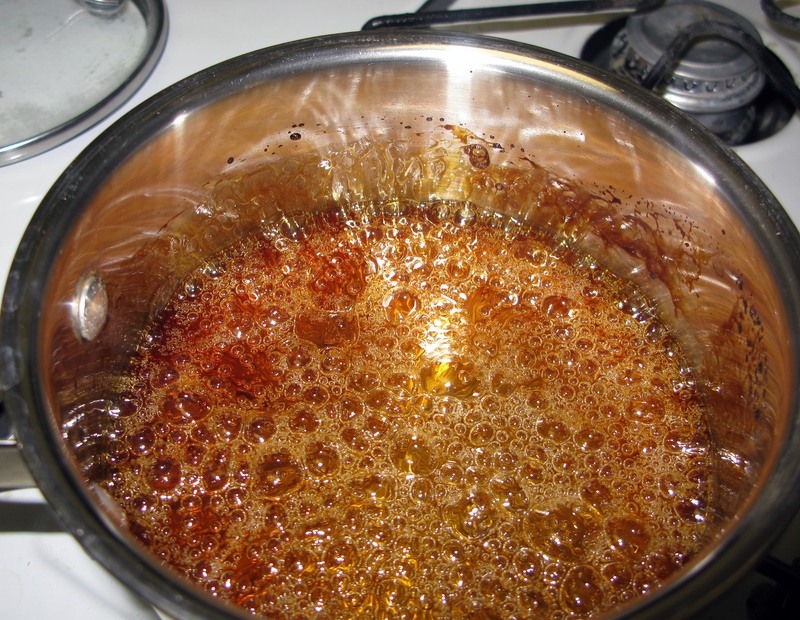 Turn the burner to medium and regularly swirl the sugar and water around to help the sugar dissolve. 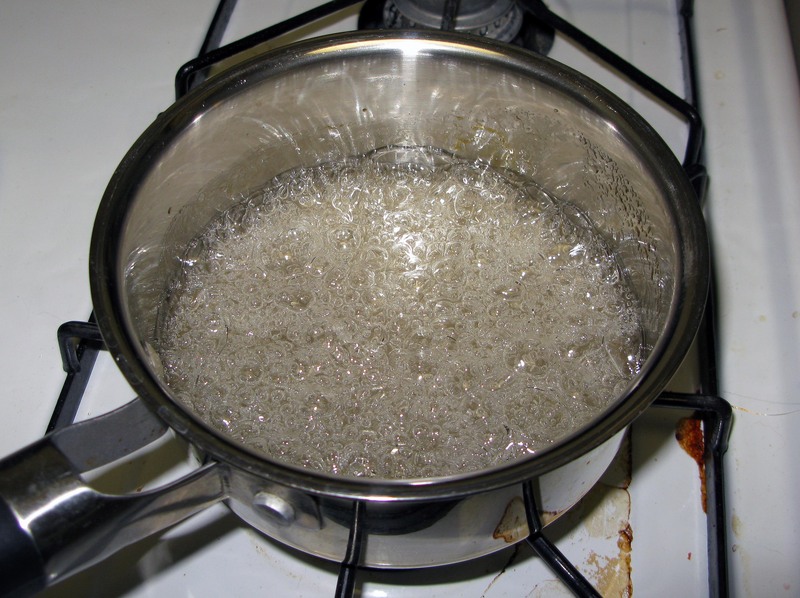 Don’t let the mixture boil until all of the sugar is dissolved. 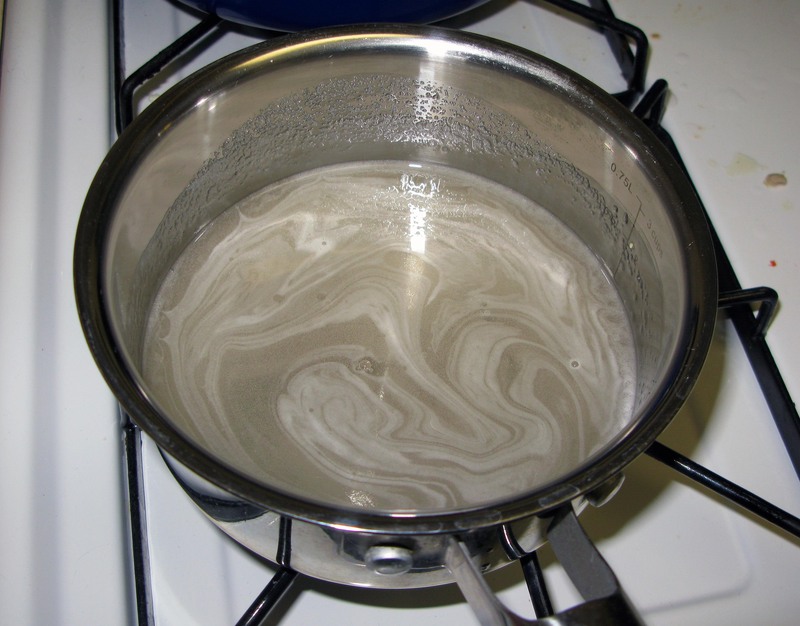 If you see little bubbles forming, lift the saucepan up and swirl until they go away. 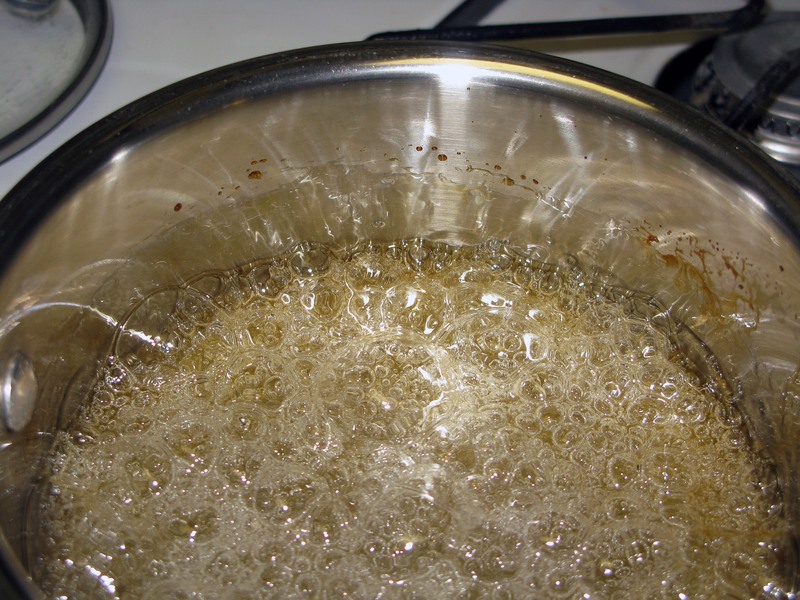 Once all of the sugar is dissolved, increase the heat to high and bring to a rolling boil. 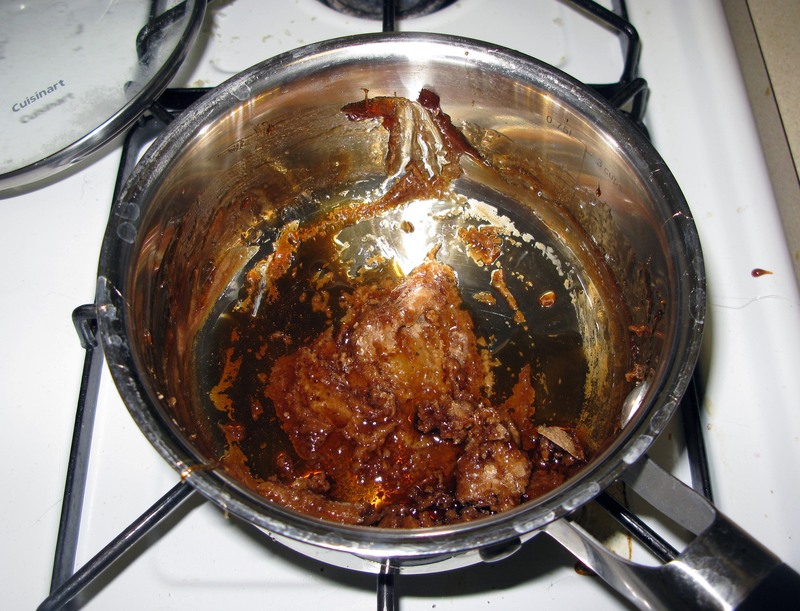 Cover the saucepan with a tight-fitting lid and leave it to boil (still on high) for 2 minutes. After 2 minutes, uncover the pan and swirl the syrup again. Let it continue to boil until it starts to darken. Stir the syrup gently and continue to cook it until it turns dark amber in color. 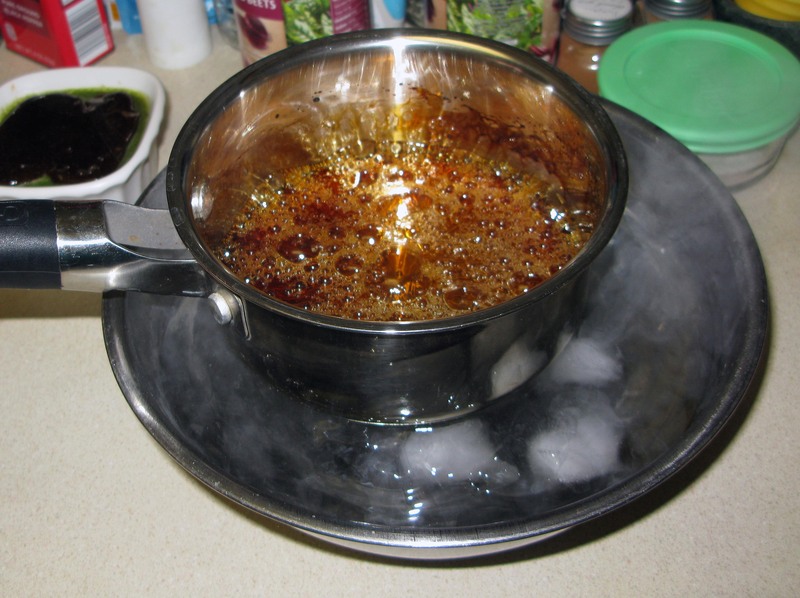 Remove the pan from the heat and immediately dip the bottom in the bowl of ice water briefly. Spoon or pour approximately a tablespoon of the caramel on top of one of the custards and gently tilt the ramekin to distribute the caramel layer evenly across the top. Repeat with the second custard. Refrigerate for at least half an hour or up to four hours before serving. At this point, we had a little fun with a Lego Hulk mini figure smashing the caramel layer. To do this without the assistance of a miniaturized version of the giant, green monster, whack the caramel with the edge of a spoon to crack it, then dig in.